Mold can appear in humid basements or crawl spaces and quickly spread to an entire building thanks to airborne spores. It is important to take action quickly if you believe there is mold in your business. You should look for a good mold removal service in your area. Do not attempt to remove mold yourself. If you fail to properly seal the room where the mold is present, you could cause airborne spores to be released and mold could start growing in other parts of your business. Besides, exposure to spores can be hazardous. Choose a reliable mold testing service (Alpha Environmental) and have us inspect your business. Ask how long it will take to get the test results back. You can use the same company for testing and mold removal services but you should not hesitate to compare quotes for mold removal once you get a better idea of the type of mold present in your business. For instance, black mold removal is usually more expensive since this type of mold is more dangerous. Compare different mold removal companies in your area. Look for a service that has existed for several years and make sure they have an excellent reputation. The best mold removal companies provide up to date training to their employees and have a low turn over rate. Some services even offer a guarantee that includes free additional removal services in case the mold returns. Mold removal is a lot more affordable if you take action quickly. If you wait and let mold grow, mold removal will cost you a lot more and the service you choose might not be able to completely eliminate the mold. 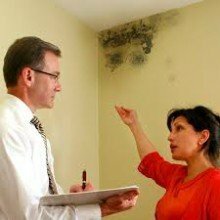 Look for signs such as moldy smells, dark spots on the walls, ceiling or floor or any signs of moisture. If you think there might be mold growing in your business, make finding a good mold testing and removal service a priority. Florida Statute 468.8419 prohibits “a mold assessor, or a company that employs a mold assessor,” to “perform or offer to perform any mold remediation to a structure on which the mold assessor or the mold assessor’s company provided a mold assessment within the last 12 months.”Florida Statute 468.8419 became effective July 1, 2010 and forbids the same company from testingand remediating mold at the same property.